The Locomotive above was built in 1955. It now transports tourists on the 6-mile stretch from Norden to Swanage in Dorset. 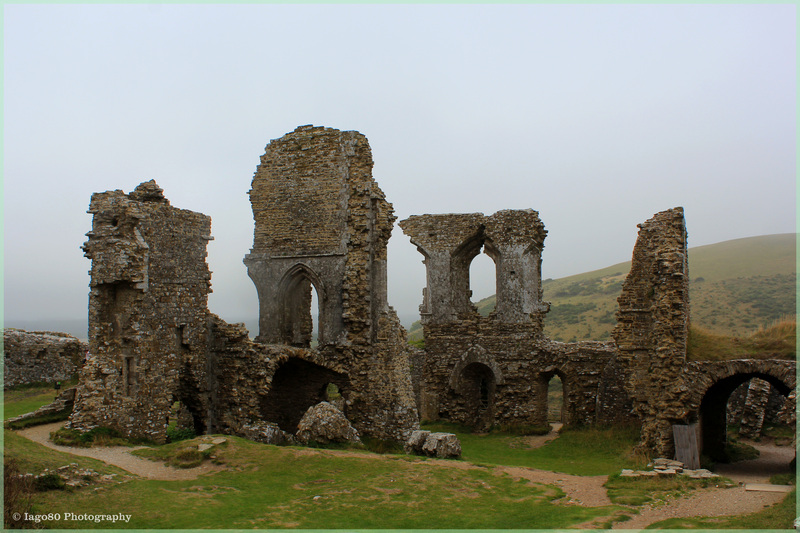 In the background the eerie ruins of Corfe Castle can just be made out in the mist. 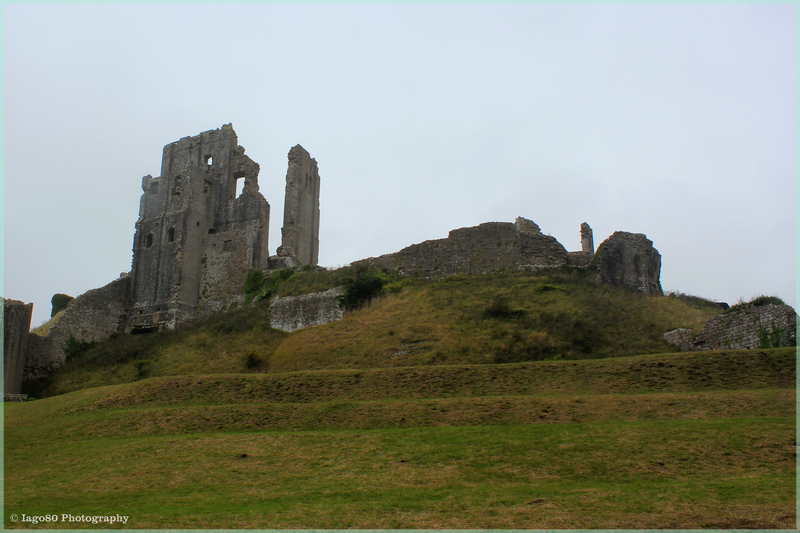 Corfe Castle was built by William the Conqueror in the 11th Century. However, the site had royal fortifications on it long before the Normans came to England. The Castle was one of the last remaining Royalist strongholds in the English Civil War until it eventually fell in 1645. 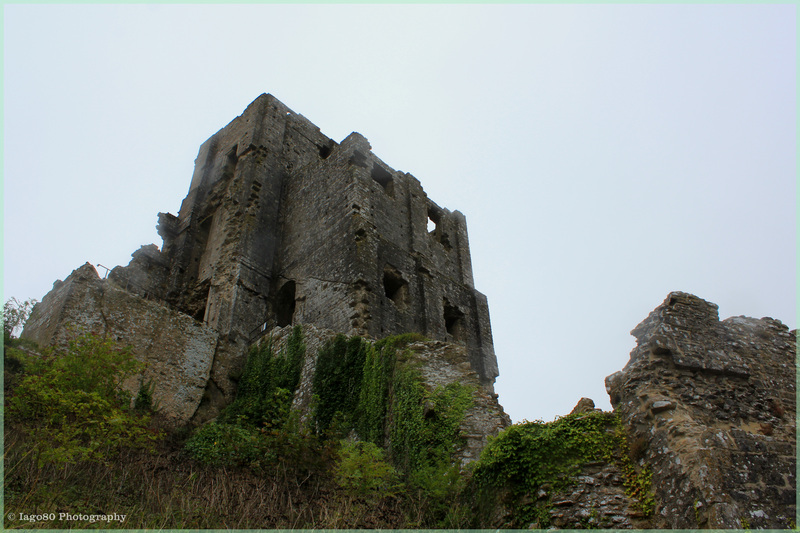 It was demolished by order of Parliament and has been a stately ruin ever since, towering above the village below. On 18 March 978 the young King of the English, Edward, rode his horse up the mound (above) to the hall that preceded the castle. He was apparently greeted by his step-mother, Ælfthryth, with a cup of mead. As he took the drink and dismounted, the Queen Dowager’s attendant stabbed the 16 year old Monarch in the back. Edward’s even younger half brother, Æthelred (Ælfthryth’s son) took the throne. The boy king struggled to unite a suspicious country (grieving the loss of Edward) against the threat from the Danes. He fled to Normandy when the Danes invaded and has been known as Æthelred the Unready ever since. His murdered brother was remembered far more kindly by history: he was sainted and is known as St Edward the Martyr. 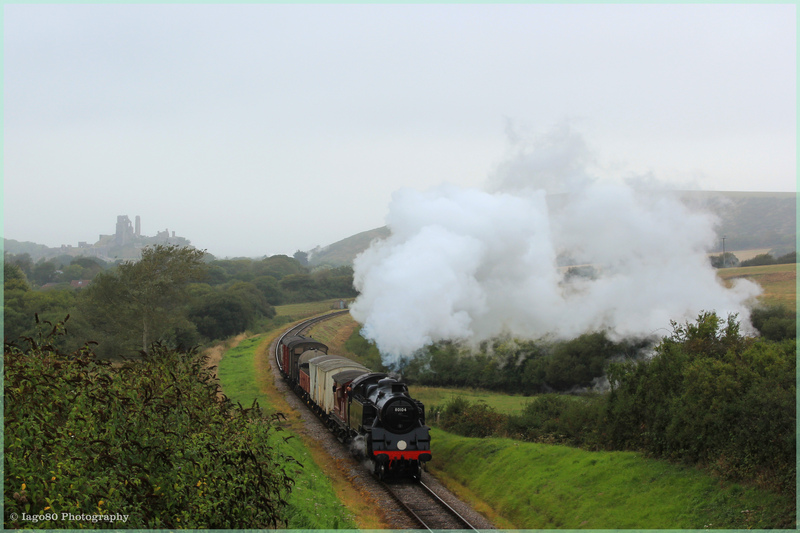 This entry was posted in architecture, history, photography, War, weather and tagged Aelfthrth, Aethelred the Unready, Corfe Castle, dorset, Edward the Martyr, murder, St Edward the Martyr, steam locomotive, steam train, swanage on September 22, 2013 by iago80.